This tour includes moderate trekking performed at a slow pace with all the necessary halts to ensure every hiker can keep up. All treks also include a midway turnaround point. We visit, hike and enjoy two of the most important National Parks of Patagonia: Los Glaciers National Park in Argentina and Torres del Paine National Park in Chile (both UNESCO World Heritage sites). All the highlights are in this one trip: Cerro Torre, El Chalten, Perito Moreno Glaciers, and most anticipated, Torres del Paine. You navigate up the Balmaceda Glacier with the company of a local guide. The tour offers a perfect balance of outdoors and comfort, placing a special emphasis on the natural history and discovery of Patagonia. After breakfast, we take our bus towards the picturesque village of El Chaltén which lies at the foot of Fitz Roy. We drive across the steppe and around lakes Argentino and Viedma. Upon arrival, we start our hike along the Cerro Torre trail, reaching the first viewpoint of the valley. Here, Cerro Torre is entirely visible. 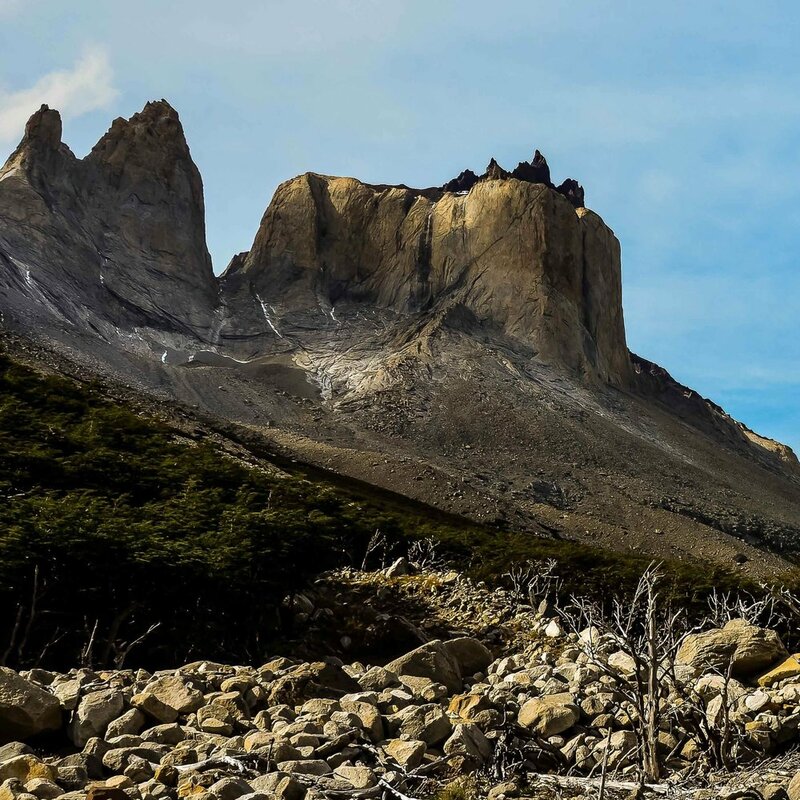 For those willing to walk further, your guide leads you to Laguna Torre, 9 km away from town. The trail goes through a glacier origin valley. The lagoon features the Torre Glacier calving on the far side, and Cerro Torre rising in the background. The total travel time is 3 hour round trip to the first viewpoint, 6 hour round trip to the lagoon. Fitz Roy Trail climbs gently up the slopes of Cerro Rosado along the “Chorrillo del Salto” valley, and you can see a mountain stream with rapids and waterfalls. 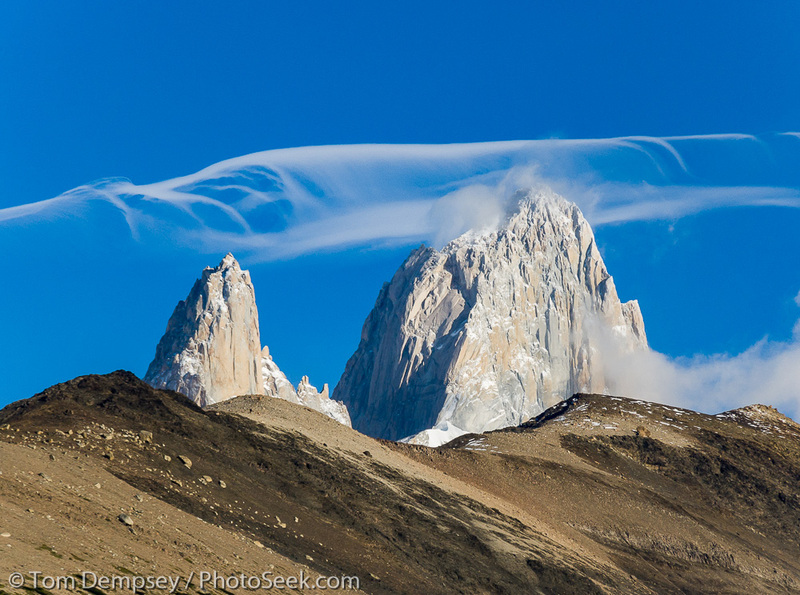 Our destination is Laguna Capri, a beautiful lagoon in the forest with full views of the Fitz Roy spires and glaciers. For keen hikers, there is an option to continue to Rio Blanco (basecamp for climbers) and Laguna de los Tres, the end of the trail and one of the highlights of the park. The views from these spots are breathtaking. You hike back to Chaltén along the same trail. The total travel time for the day is 2 hours from town to Laguna Capri, 1 hour to Rio Blanco, and 1 hour of steep climbing to Laguna de los Tres. You have the morning at your leisure with the opportunity to have an optional excursion. 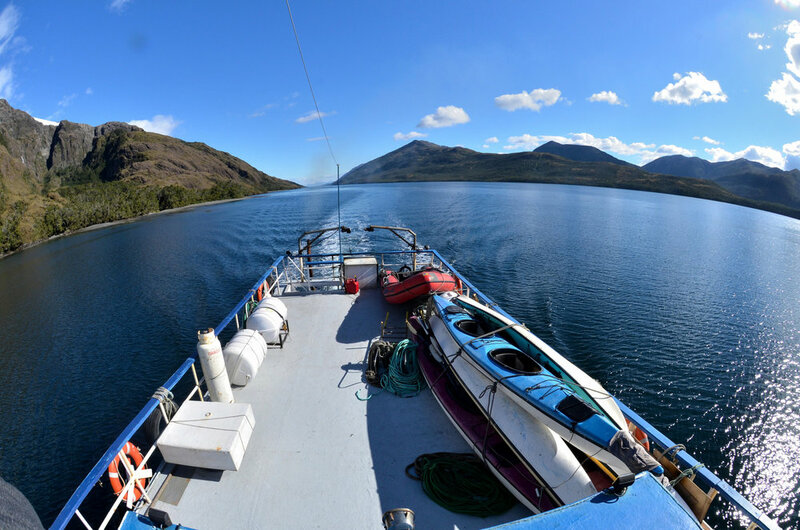 You can venture out on a boat trip on the lake finishing with a walk on the Viedma Glacier or visit Lago del Desierto. In the afternoon you take your bus to El Calafate, which is 136 miles away and about a 4 hour long trip.